Klein was speaking on his weekend talk radio program “Aaron Klein Investigative Radio,” broadcast on New York’s AM 970 The Answer and NewsTalk 990 AM in Philadelphia. The international news media has been widely citing data released by Hamas-run health agencies in the Gaza Strip when reporting on the number of injuries during violent protests along the Israel-Gaza border. The Hamas-run Gaza Health Ministry claims that some 1,400 Palestinians were injured during protests Friday and Saturday, further claiming that over half of those numbers were wounded by live rounds fired by the Israel Defense Forces (IDF). The media has also cited figures that 16 Palestinians were killed in Friday and Saturday protests. On Saturday, the IDF announced that of the 16 Palestinians reportedly killed, 10 were members of Palestinian terrorist groups. Regarding the widely reported claim that some 1,400 Palestinians were wounded, Israel says it has no way to independently verify the Hamas numbers. IDF Spokesman Brig. Gen. Ronen Manelis accused Hamas of exaggerating the casualty count and stressed that IDF information indicates only several dozen at most were wounded by live fire. Manelis explained that the remaining injuries were likely caused by tear gas and other crowd dispersal methods. 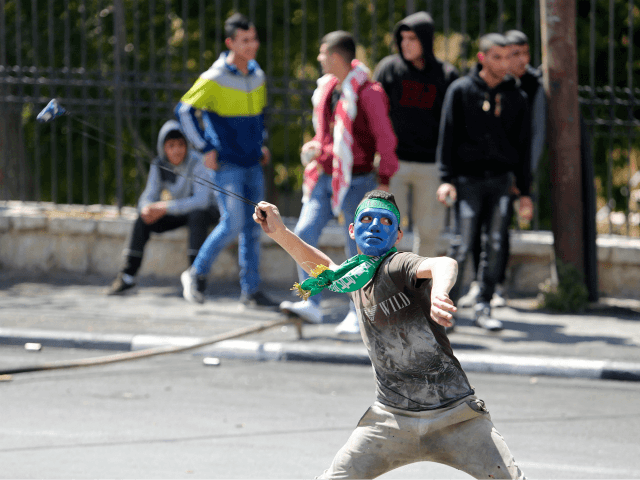 According to the IDF, rioters on Friday threw firebombs and hurled rocks at soldiers, attempted to breach the Israeli border, tried to damage the border fence, and opened fire on Israeli troops. Klein referred to pictures and video capturing the violence, including Palestinians in the midst of attacking soldiers. Stated Klein: “You can see the so-called peaceful protesters. They are throwing stones and rocks, which by the way are deadly projectiles the way they are throwing it. They are throwing Molotov cocktails. They are storming the Israeli border. They are using live fire to shoot at the Israeli border. They are attempting to breach the border fence. This is not a protest. This is an organized mass violent attack against a sovereign nation’s borders.